Supplements to Medical Paradigm are an ideal way for conference organizers to publish proceedings, abstract books, results of meetings or seminars, post conference reports, and other similar material. All supplements are peer reviewed and copyedited to conform to the standards of regular issues and are circulated to all subscribers to the regular issues, including libraries and indexing services. All published material therefore attains a high level of visibility. In addition, bulk copies can be provided for distribution to target audiencesselected by sponsors or teaching institutions. Supplements may be published in electronic (softcopy) format only, in hardcopy format only, or in both electronic and print format.Sponsorship of Medical Paradigm supplementsMedical Paradigm accepts unrestricted educational grants or other contributions to assist with production or promotion ofcontent, of collections of articles, and of online publication. In return, Medical Paradigm will publicly recognize the support of the sponsor for a specified period of time. Sponsorships are available to organizations at the corporate level. Eligible sponsors include, but are not limited to, governments, medical research groups, consensus committees, and industry. 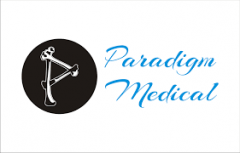 Medical Paradigm also offers the possibility of sponsoring entire “theme” issues. At the moment, sponsorship opportunitiesfor 2004 are available. Eastern movement therapies and disabilities. For information on sponsorships, please contact us.